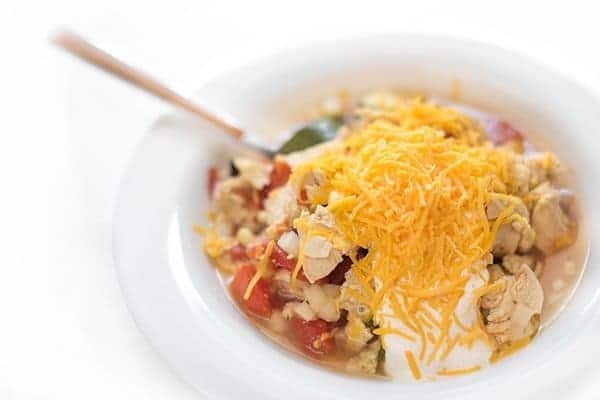 This flavorful Mexican-inspired Slow Cooker Chicken Enchilada soup is packed with juicy chicken and hearty vegetables then topped with sharp cheddar cheese and a Greek yogurt lime crema. This post is created with America’s Dairy Farm Families and Importers, in partnership with the Innovation Center for U.S. Dairy, however the views and opinions included are my own. Ready or not, fall is right around the corner! I don’t know about you but I couldn’t be more thrilled if I tried. Cooler temps, trips to the apple orchard, fall foliage – you name it, I embrace it. 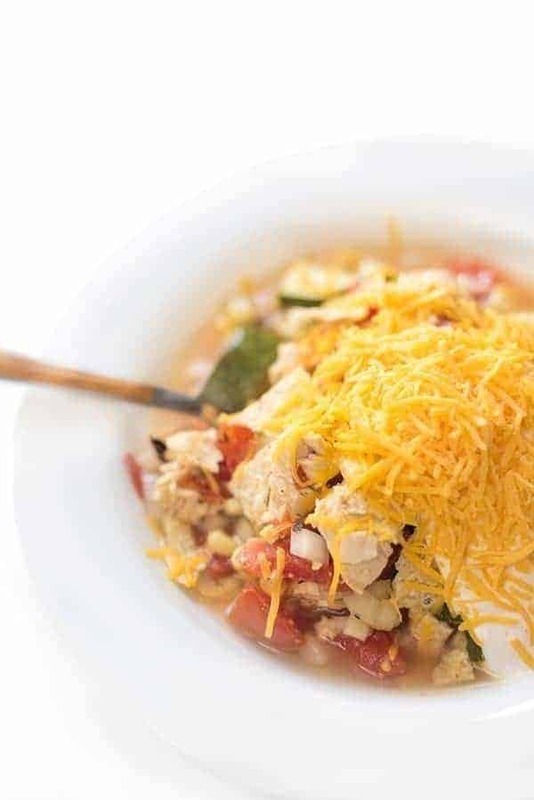 This Slow Cooker Chicken Enchilada Soup has everything you love about the traditional tex-mex dish (like plenty of delicious cheesy goodness!) but happens to also be packed with plenty of hearty vegetables, juicy white meat chicken and warm spices. I love to add yogurt as a garnish to soups because it adds richness and complements the spices in the soup. As we head into fall and the harvest season, I can’t help but start to think about all of the upcoming family celebrations we have going on in our house. Between my oldest son’s 6th birthday, our 12th wedding anniversary, my birthday and more – the fall is a busy time for our family! Whether you’re feeding one or feeding a crowd, this Slow Cooker Chicken Enchilada Soup recipe is the ultimate make-ahead dish. 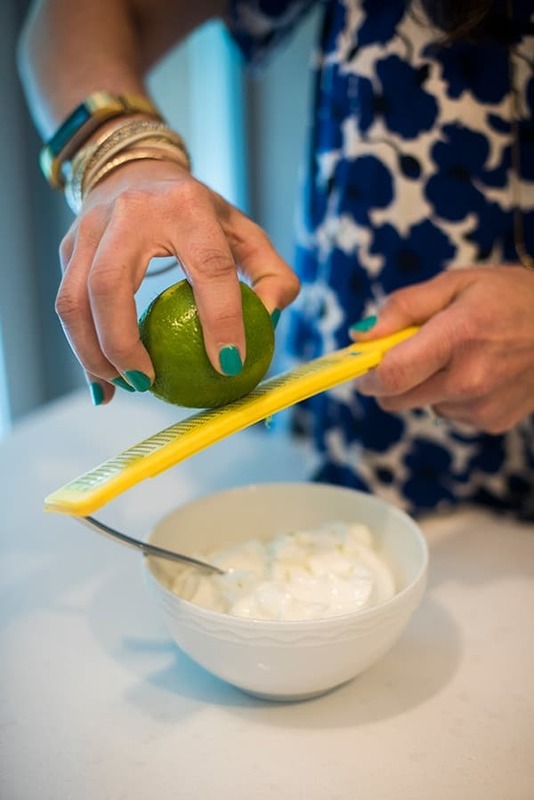 When it’s time to serve, I like to set out a buffet of toppings for people to help themselves including my tangy lime crema made with Greek yogurt, an excellent source of protein. 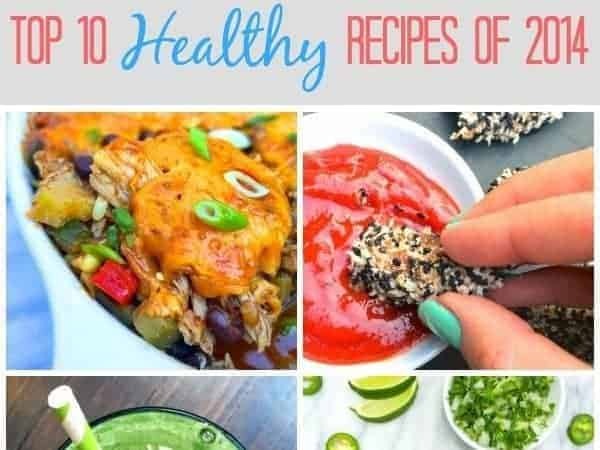 Other great toppings including avocado, scallions, cilantro, crumbled queso fresco, tortilla chips and more. 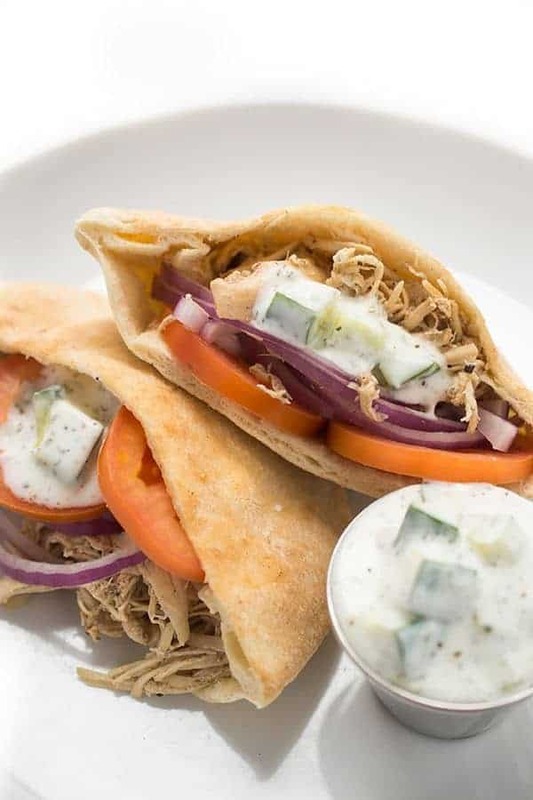 A lot of people don’t think yogurt or other dairy products like shredded cheese in this recipe are local, but it is. In fact, most people live within 100 miles of a dairy farm. Pro Tip: This soup is very freezer friendly and makes a great gift for a new mom, a family in need or for stocking your own freezer for a busy day in the future. 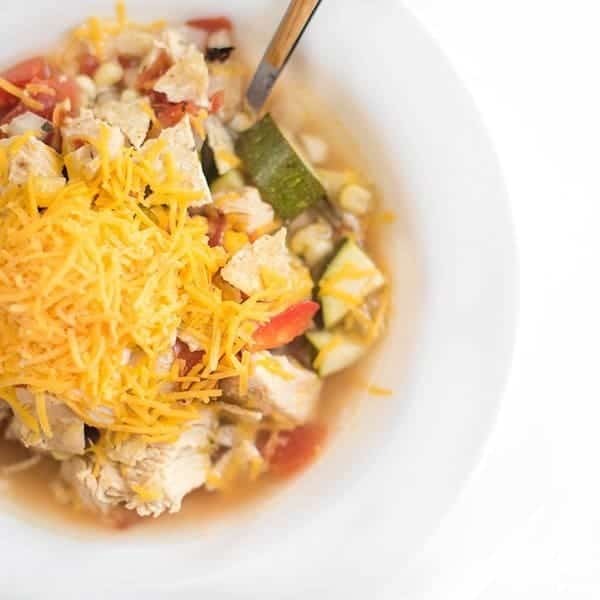 This flavorful Mexican-inspired Slow Cooker Chicken Enchilada soup is packed with hearty vegetables then topped with sharp cheddar cheese. Place the first 15 ingredients (chicken through chicken broth) in a slow cooke and cook on High for 4 hours of Low for 8 hours. While the soup is cooking, mix together the lime crema in a small bowl and refrigerate until you're ready to serve the soup. 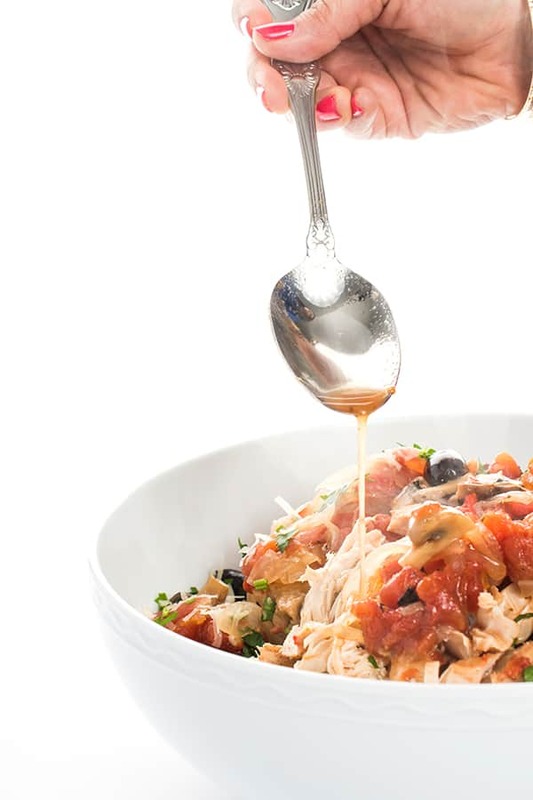 Before service, remove the chicken breasts from the slow cooker and place on a cutting board. Cut into large chunks then return to the slow cooker. Serve soup in bowls and garnish with lime crema and chided cheese as well as any other desired garnishes. This looks really good. I wanted to make a soup in the weekend so this is definitely worth giving it a try. I hope you love it Christine! This is my kind of soup! Can’t wait to try it this Winter. You are a master at slower cooker recipes! Thank you so much sista! This is a go to soup! I love the lime crema! More like slow cooker heaven. Yum! 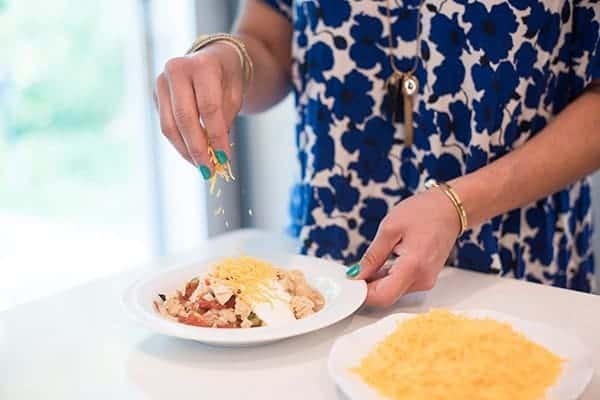 This looks so good and could become my go to Taco Tuesday meal! This looks so inviting and tasty. Bonus points for wholesome and healthy, too! Can’t wait to try it! 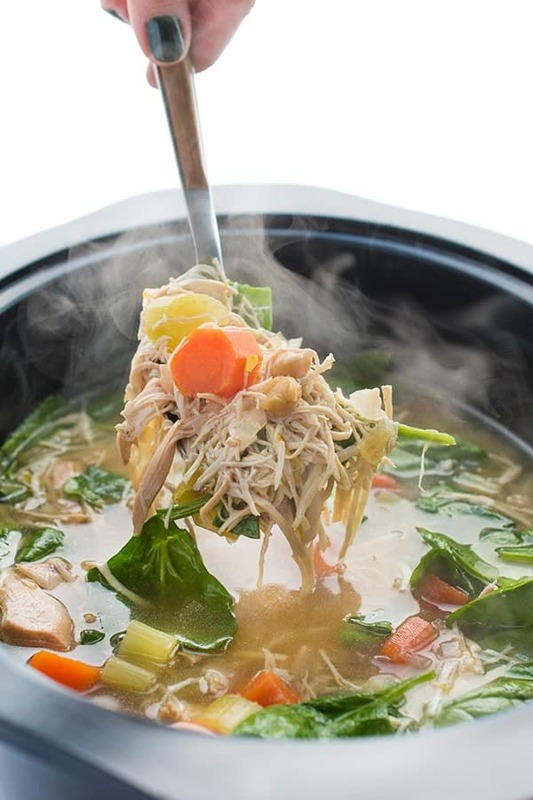 Cheers for soup and slow cooker season! Your recipe sounds and looks amazing! The hubs and I have to relocate to our upstairs bedroom while our kitchen floor is being redone. I won’t have an over for a while. 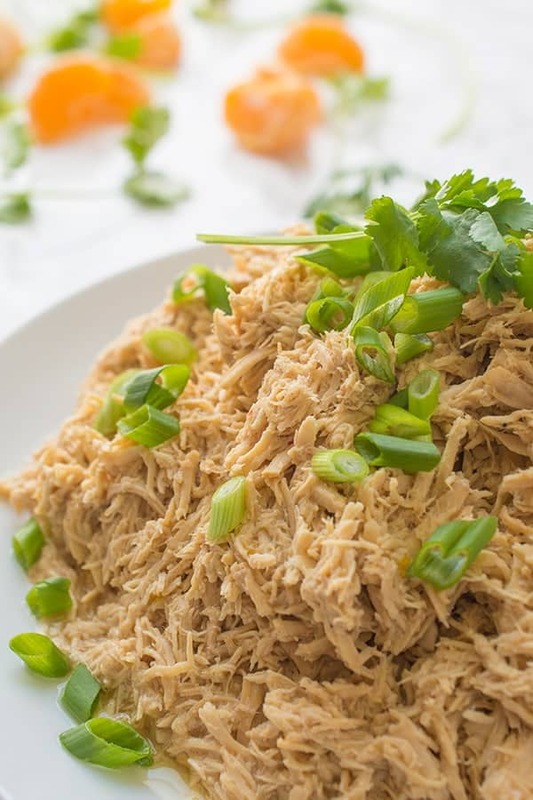 I’ll need to resort to slow cooker meals so I can’t wait to make this!